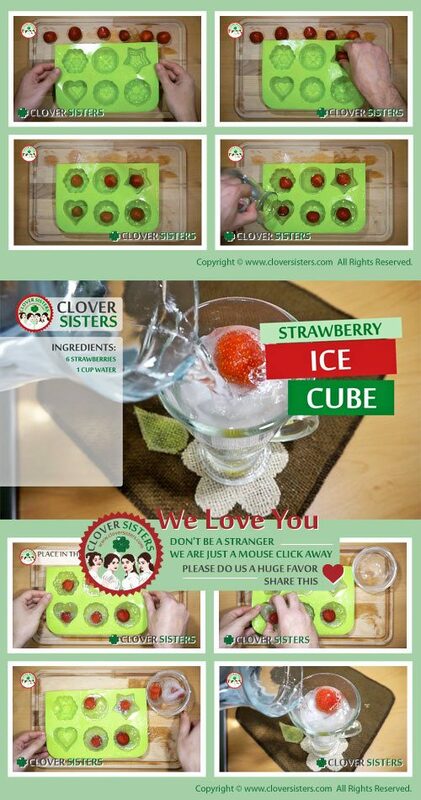 This strawberry ice cubes are a jolly good way to decorate your delicious juices and cocktails and cool them at the same time, and you can make them at the drop of a hat, literally. Put the water in the small pan and bring it to a boil. Let it rest until the water has a room temperature. 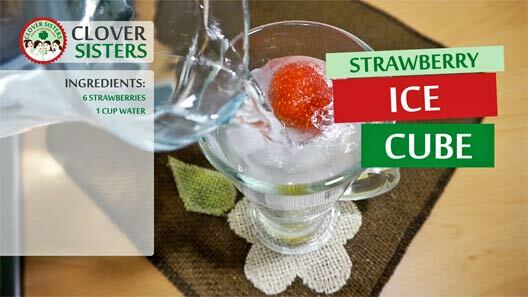 Put the washed strawberries into a ice cube mold and cover it with the water. Place the ice cube mold in the freezer until hardened.